Spring—a season of transitions. Defined by growth, rebirth, and new beginnings, spring presents a perfect opportunity to reinvigorate your space. Whether you’re looking to liven up your lounge, wake up your workspace, or beautify your bedroom, our newest showroom samples will help you elevate your interior as we move into a season of blossoming new beginnings. 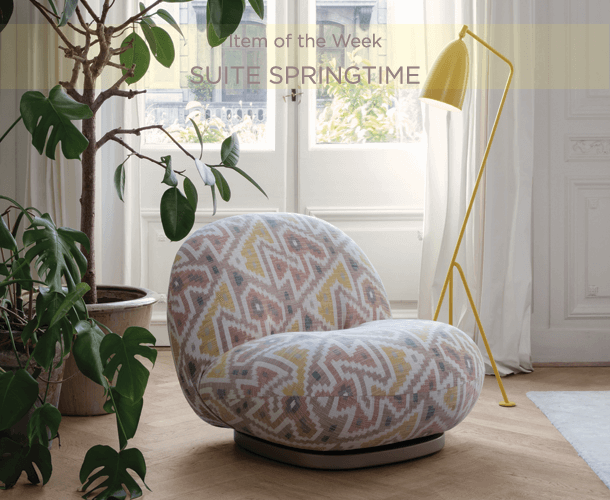 Spring weather beckons you to open the windows and relax in its balmy air, and the GMG Chaise is here to help you do just that. 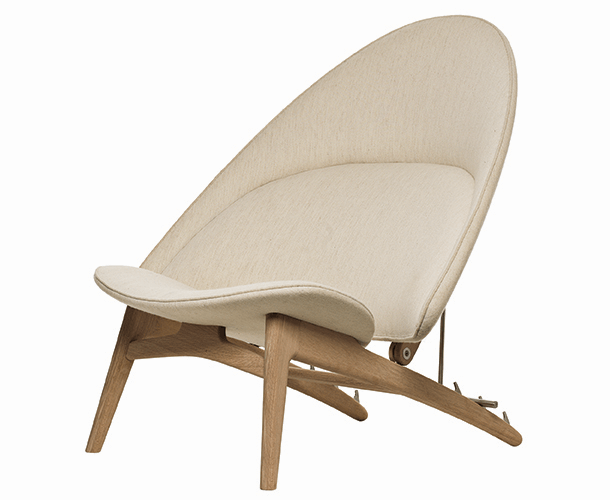 Perfectly angled for lounging, the shape and structure of the GMG Chaise mirror the body’s natural curves for optimal relaxation. 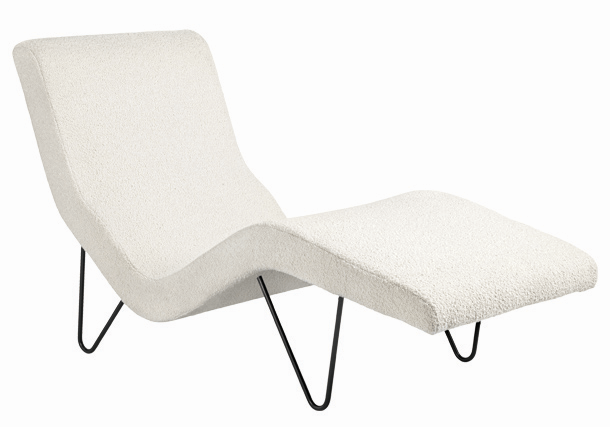 The chaise seems to float upon its distinctive, slender legs, which are a signature of Greta Grossman’s work. Representing a link between European design and American modernism, Grossman combined her Swedish fondness for form and texture with a design meant for bright and open spaces. Timeless and modern, the Mayor is everything one could ever want in a sofa. Originally designed in 1939 for Denmark’s city hall, the sofa exudes an undeniable elegance and feels just as relevant and contemporary today as it was 80 years ago. Its high, rounded back and arms create a warm embrace that allows you to be truly enveloped in the design. The Mayor is available as a two or three-seater, with a base in white oiled, smoke oiled, or black lacquered oak, leaving room for increased versatility and personalization. Have you ever dreamed of sitting on a cloud? If so, Pacha is a dream come true. 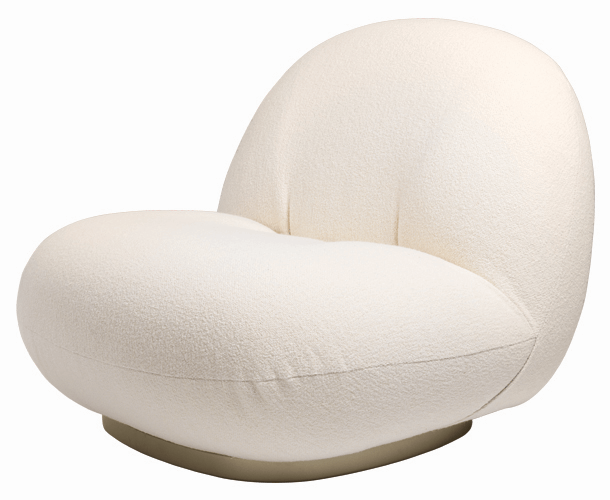 This perfectly proportioned, plush lounge chair was designed by Pierre Paulin with supreme comfort as the ultimate goal. While its rounded, curvaceous form creates a playful dialogue, Pacha still manages to feel elegant wherever it is placed. Available in a wide range of fabrics and leathers, Pacha brings life and character to any space. At the time of its inception, the innovative design of the Tub Chair was technically too difficult to produce in a rational way. Lucky for us, advancements in manufacturing have allowed PP Møbler to revive this design for the modern enthusiast. The Tub Chair is exceptionally comfortable, and with three available seating positions, it is also profoundly practical. With its unique elliptical shape, the Tub Chair is a striking example of Hans J. Wegner’s commitment to true originality. One night, design duo Cristiana Giopato and Christopher Coombes were strolling through the park and found themselves inspired by the dewdrops on blades of grass, glistening as they reflected the subtle moonlight. Dewdrops is this moment brought to life—an abstract interpretation of one of nature’s most beautiful patterns, something we see every day but often take for granted. 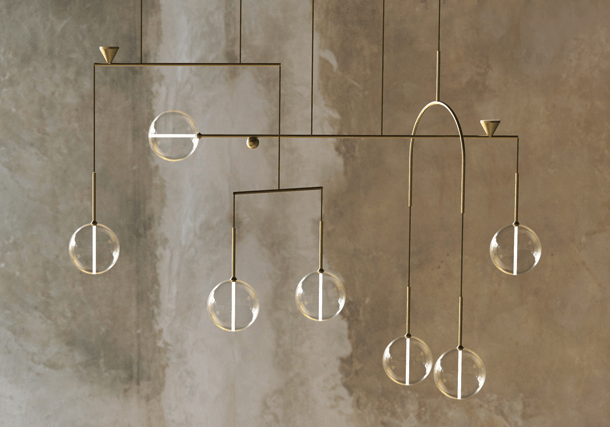 Defined by a sophisticated visual lightness, this balancing mobile lighting structure emits a soft light and is available in two configurations.